Ready To Take Your Next Step? Here's How. Stello Steps is a recurring class that happens the first four weeks out of the month. This class gives us a chance to get to know each other better and identify where you best fit at Stello Church. These classes are the fastest way to get plugged in at Stello and the on-ramp to start volunteering on one of our many teams. We believe life is better together. 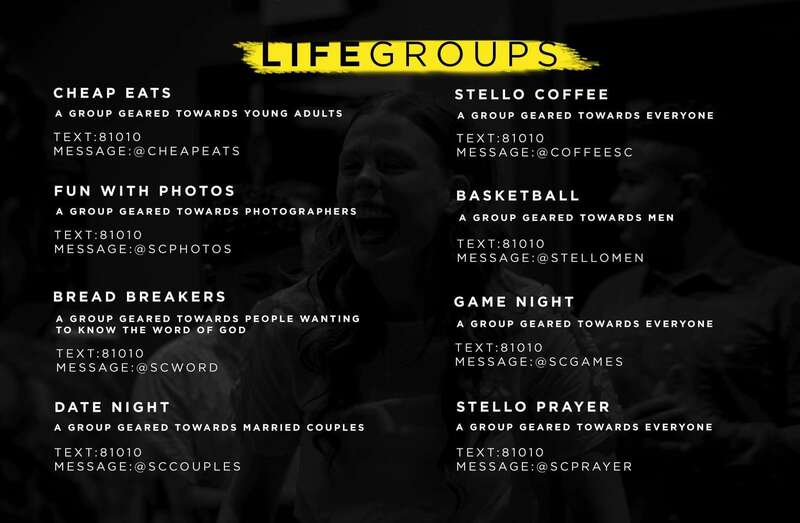 Each semester we have Life-Groups that get you connected. Sign-Up Today!